What’s in a name? That which we call an award show by any other word would…be as out-there as the Billboard Music Awards? We mean: Every year, the BMAs red carpet seems to get weirder and weirder. Where we more or less know what to expect from the televised events that make up awards season, the BMAs are a melting pot of all of them — er, what’s left over. Okay, we know this isn’t the Met Gala, but with the best names in music in attendance, you never know what you’re going to get. And tonight’s fashion was anything but one-note. If it weren’t for newcomer Dua Lipa, tonight’s red carpet would have looked much closer to something of the best-in-club-attire. Where most celebrities opted to play it safe, sticking to flashy, lamé minidresses, a few kept it ultra-casual (we’re looking at you, Yodel Boy) — and Grace VanderWaal, well, she just meant business. But that’s what makes the Billboard Music Awards such a sight to see: The night is chock-full of performances that showcase a range of their own costume fashion, which is why the red carpet is the best preview. Thank you, Dua Lipa, for showing the rest of the evening’s attendees how to shut down a red carpet. And in Alexandre Vauthier no less. Our chart queen, fashion darling — you never let us down. While Grace VanderWaal’s tunes range from soothing to funky, her choice to sport a clean, crisp suit by Hugo Boss tonight has us wanting to strut our stuff to a different beat. We’re sure the Twitter stans will agree: Demi Lovato did that. 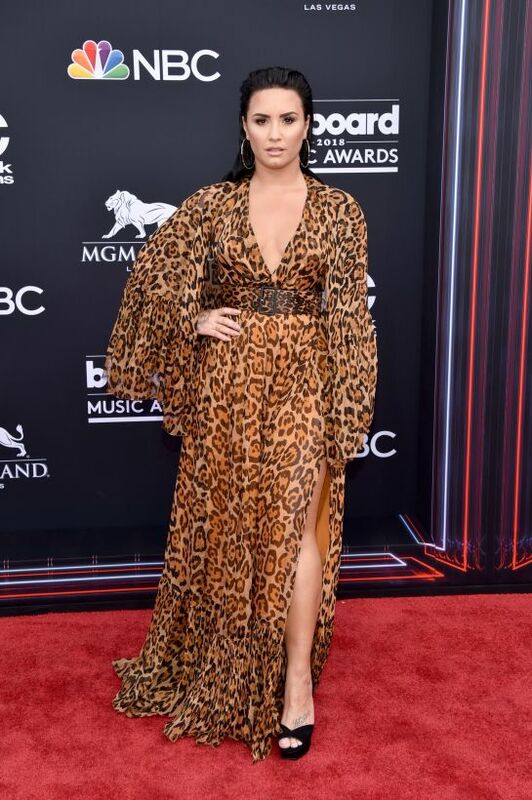 The singer was one of the only stars to try a head-to-toe print tonight — leopard, vintage Dior at that — so she’s a winner in our book. 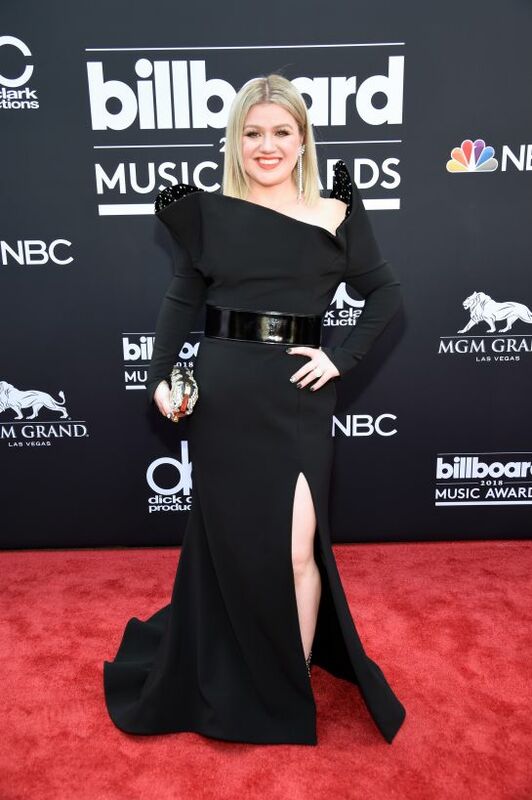 Kelly Clarkson (and Christian Siriano) just gave us an LBD for the gods: a dramatic shoulder, a strong belt, and a train. Guess we finally know what happened to Miss Independent. Black dresses are always a hot topic on red carpets: Are they too predictable, or can they be just as cool as, say, a technicolor ball gown? The ruffle sleeves on Tyra Banks’ Marc Bouwer number are the perfect example of how to take a good idea and turn it into a great one. Look no further than Camila Cabello in this Givenchy number for your next “black tie” invitation, because what’s the difference between cocktail and black tie anyway? Whatever, we’re getting cheese fries. Thanks, Camilla! Ciara makes walking around in nothing but chainmail look easy. That is, if you’re ever in the mood to just throw on some chainmail and go. We’d say don’t knock it till you try it, but for now, we’ll leave it to (Julien Macdonald and) Ciara. Honestly, we shouldn’t be surprised by J. Lo at these types of events anymore, considering she’s been making headlines on red carpets since 2000. But somehow, she keeps raising the bar higher and higher, this time, in Roberto Cavalli. To be fair, Taylor Swift is a bit rusty when it comes to red carpets. But hey, a prom dress is a prom dress (even if it’s Atelier Versace).